Magicians, clowns, or pretty much anyone who is skilled at making balloon animals is sure to be a tad bit creepy. But you won’t need ’em once you have become a certified Balloon Warrior. 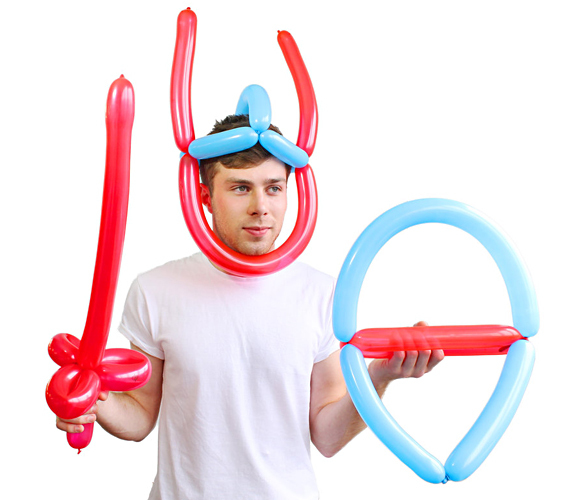 With this genius set from suckUK, all the twists and turns are printed directly onto the balloons. Just follow the numbers and twist along the dotted line to assemble a helmet, sword and shield. 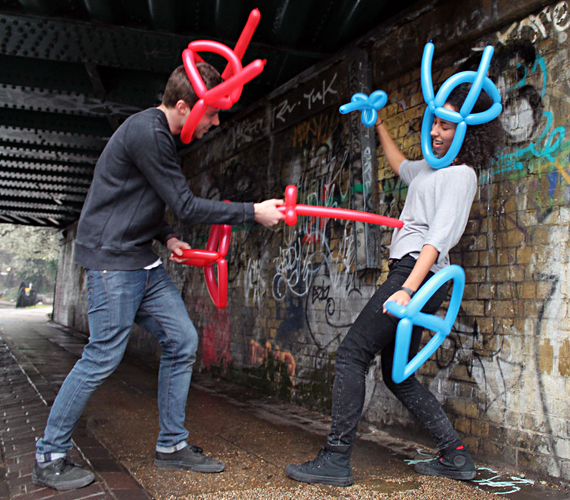 Then your balloon battle can soon commence. Perfect for kids parties or Friday night with your bros, it includes a mini pump and 15 balloons with printed instructions showing you where to twist.